Hi everyone! Welcome to one of four Christmas tours going on in my house! 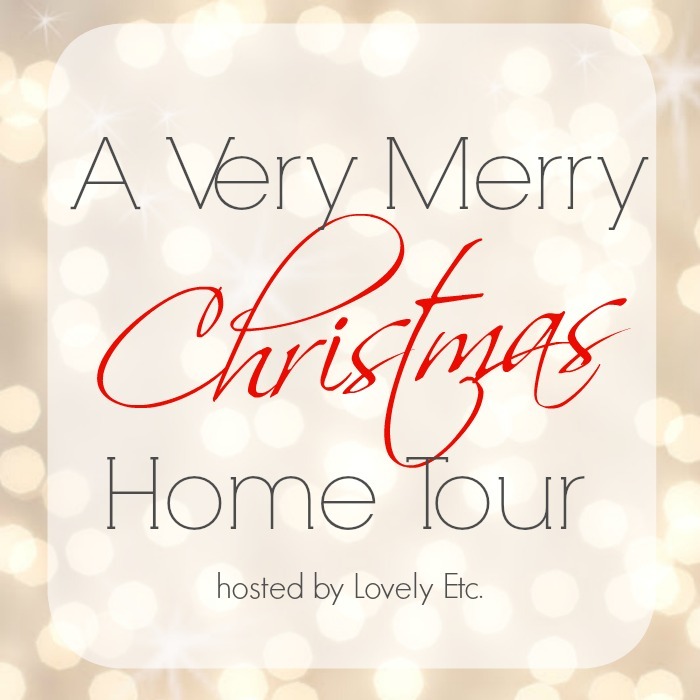 I'm excited to be apart of the Very Merry Christmas Home Tours hosted by Carrie from Lovely, Etc. this week! 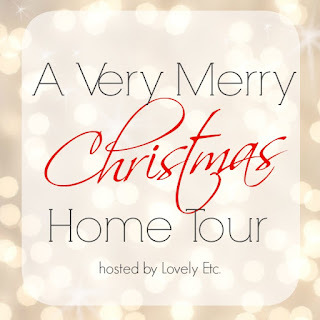 If you are doing the hop and are coming from All Things with Purpose, welcome and if you aren't, be sure to check out Sarah's beautiful holiday home :) All the links for the other tours today and the rest of the week are at the bottom of the post! 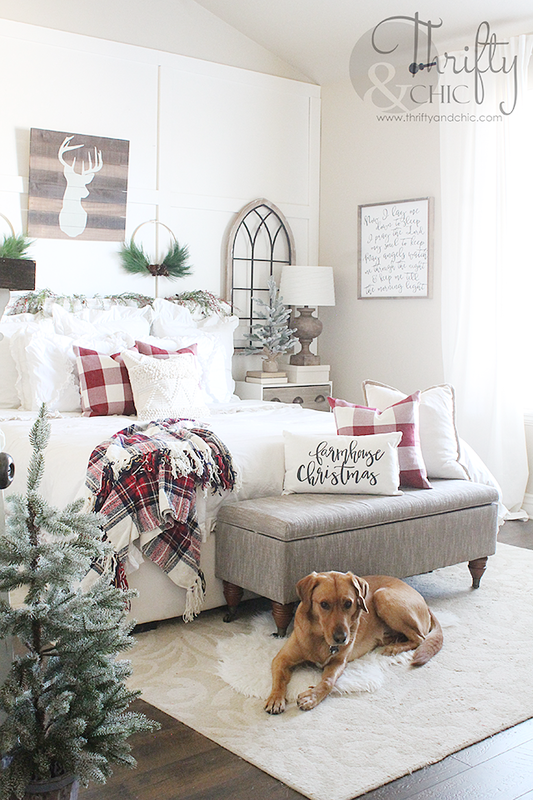 I was decorating my home at the beginning of November, and felt like I was "playing" Christmas the whole time...you know, like throwing up your Christmas tree in the middle July type thing and pretending it's going to snow. Well, now we got our first snowfall and I can freely listen to Christmas music play all I want, and I'm finally feeling the spirit! 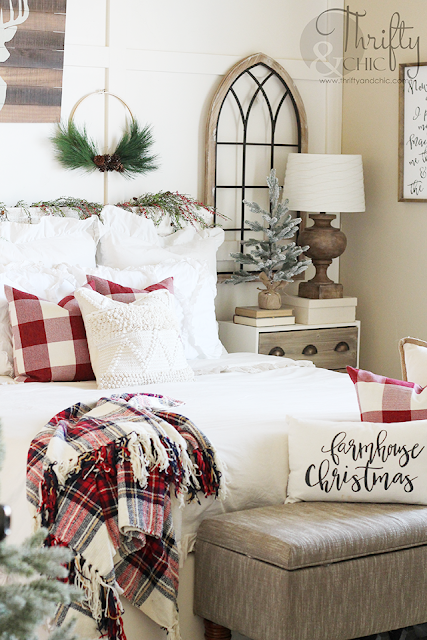 My bedroom is usually decorated last during the holidays, but this year I had a vision and couldn't wait for it to become a reality. So, this room was the first one done! Nothing can get you in the holiday spirit quicker than going to sleep and waking up in a Christmas wonderland. 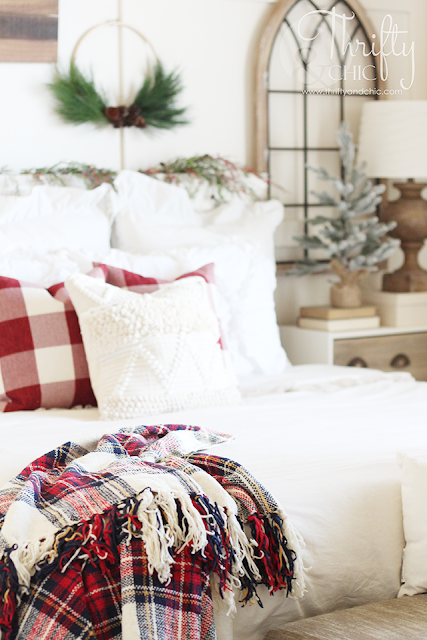 I think it's the best feeling to wake up a Christmas filled bedroom. 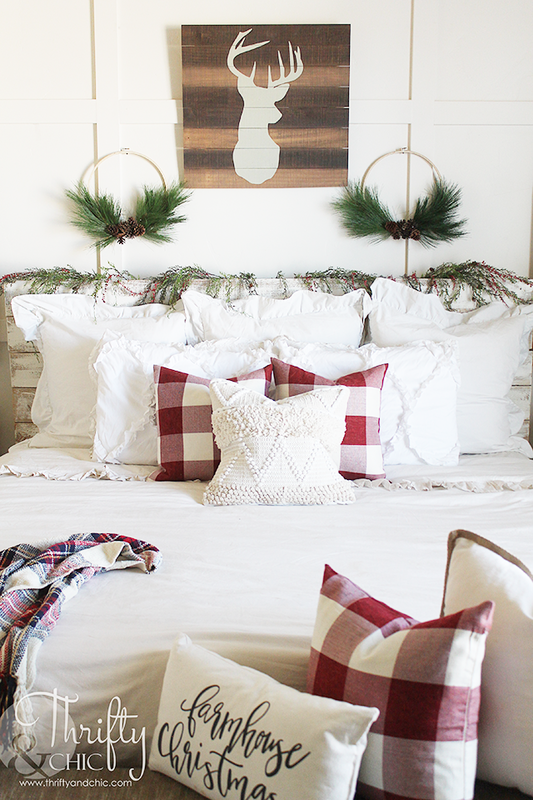 My bedroom usually is very neutral so I love to add pops of red in here during the holidays. I updated my nightstand by switching out my normal tobacco baskets and cotton with small flocked trees and cathedral windows. I don't know why, but cathedral windows scream "Christmas" to me. 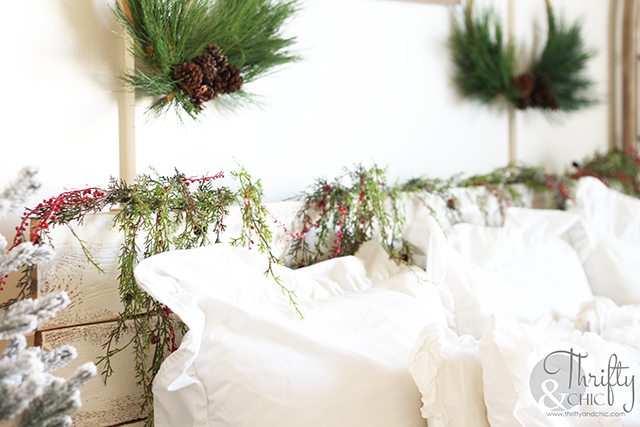 I swagged this 'frosted' berry garland along my headboard. I will be adding some white lights behind here in the coming days. 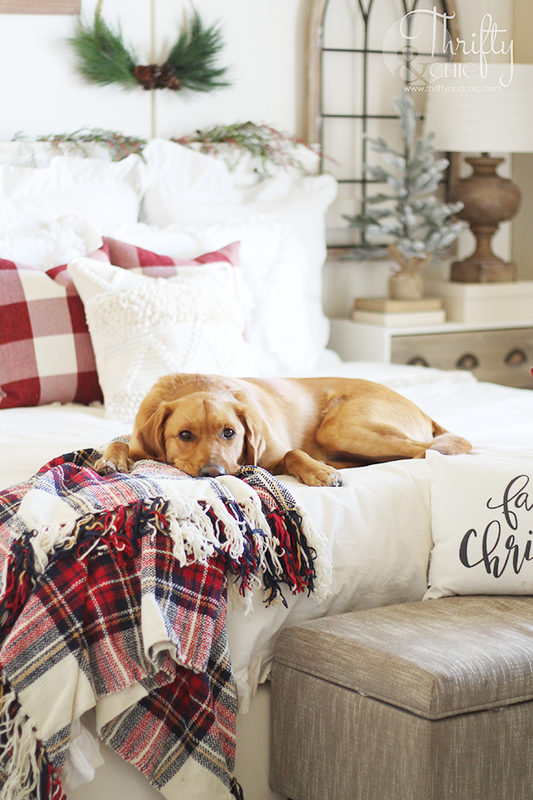 The red buffalo check pillow covers were purchased a few years ago, but I loved them so much that I bought more for this year. 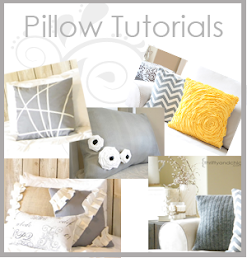 I also moved this fringed pillow in here to add more texture to the space. My normal decor above the bed was a gallery wall. I absolutely love it and it will be coming back. Even though I love it, that doesn't mean it looks quite right for Christmas :) It's more for every other time of year besides Christmas. 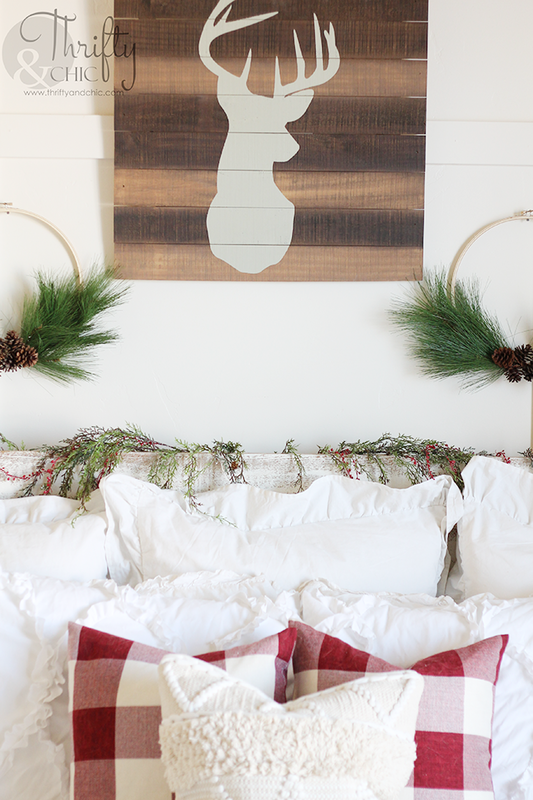 So, I switched it out and replaced it with this deer silhouette and the embroidery hoop wreaths. This angle of my bedroom is totally new and different to me with this faux fireplace moved in here from my front room. 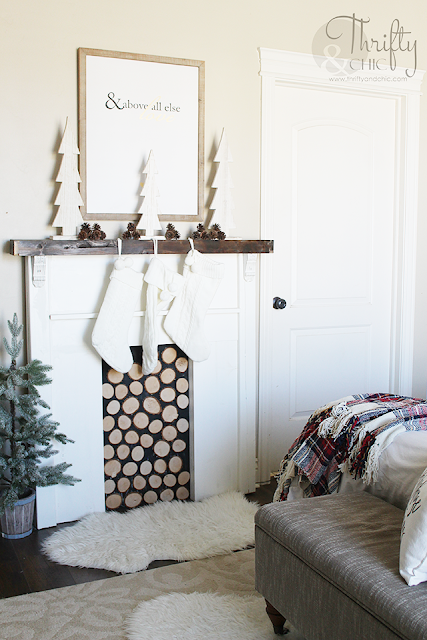 I recently bought an antique wood mantel to replace this one, so I had to find a place for this one to live. I always wanted a faux fireplace in here and thought it would be the perfect opportunity to try it out! I love the extra space I have now since the side table that used to be in here was rather large. 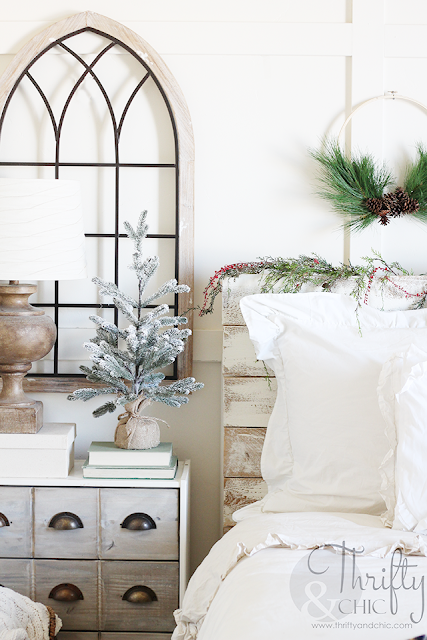 As for the decor, I just added some wood Christmas trees and small pine cones in lieu of garland. 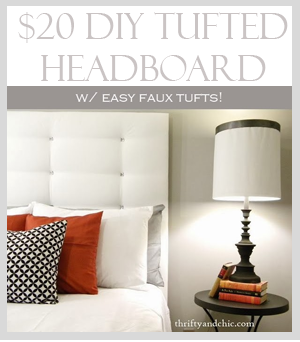 To help finish the space and make it a little more cozier, I added some faux sheep skin rugs. The best part about changing up this room is that now I keep it clean :) I need to start doing this more throughout the year so I actually like making the bed. 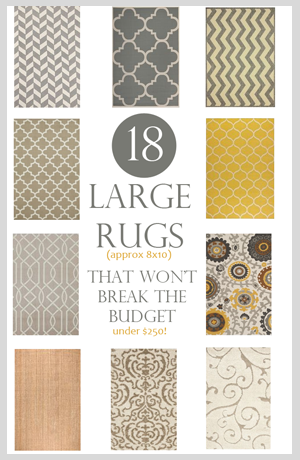 Now going back to the rugs. This pup....literally seconds after I put this rug down, he claimed it. Hope you enjoyed the tour! Below is a little video tour I put together too! I'll be sharing the rest of my holiday home next week! The Very Merry Christmas Home Tours are going on throughout the rest of the week! 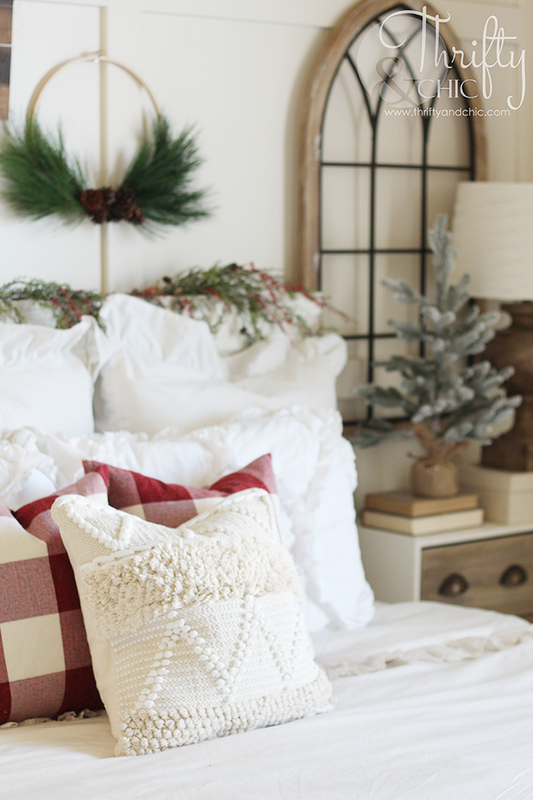 Up next on the tour hop is Amanda's beautiful home from Love and Renovations. And be sure to check back the rest of the week for the rest of the tours going on every day! Gorgeous! The white with contrasts of red and white buffalo check works perfectly for your space. 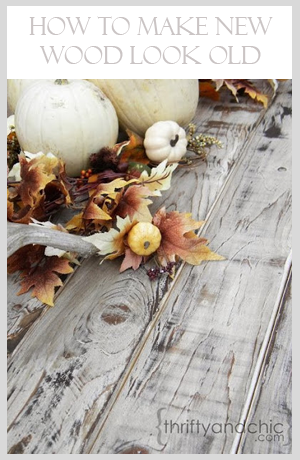 Simple and rustic, but beautiful. Thanks for getting me in the holiday spirit today. 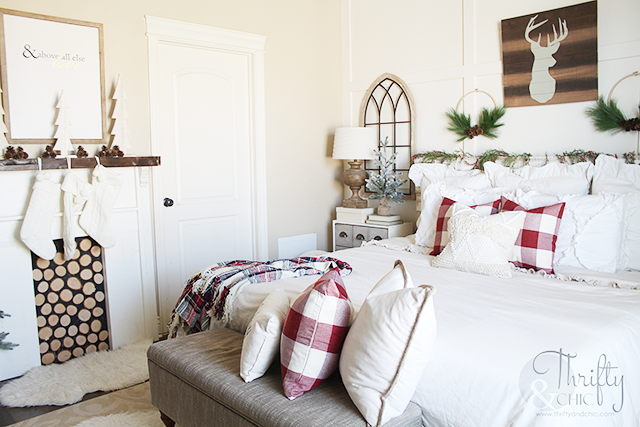 This room is gorgeous and so cozy!! 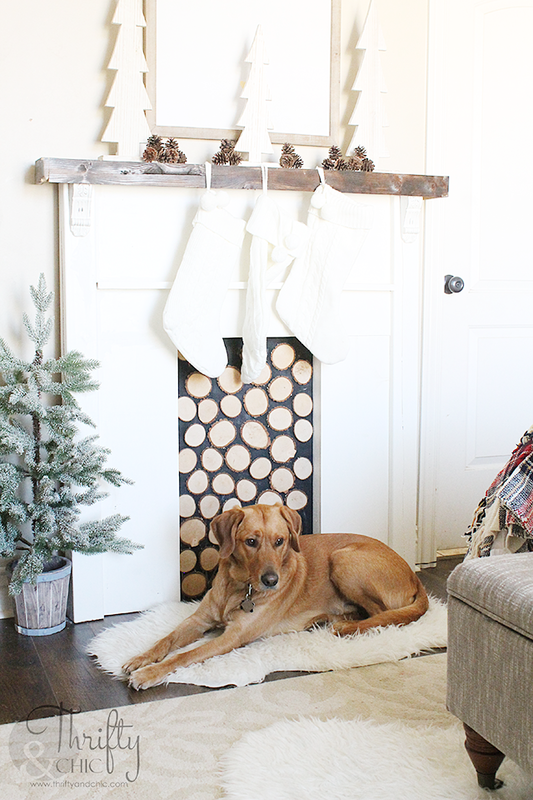 I LOVE your faux fireplace! Alicia this is spectacular! 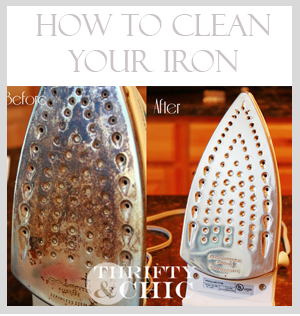 I love the red notes on top of the white. 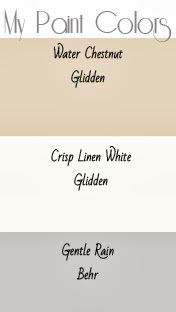 Plus you have soooo many different textures that it makes your bedroom look like a big cozy dream. Beautiful room! I love the pops of red in this room - especially that beautiful plaid throw! What a gorgeous room to wake up in every day! 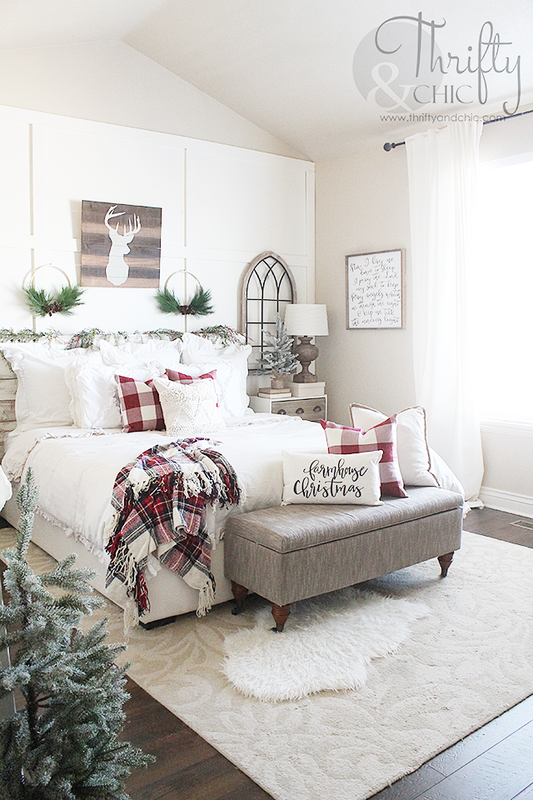 Such a beautiful Christmas bedroom Alicia! Love the cathedral windows! 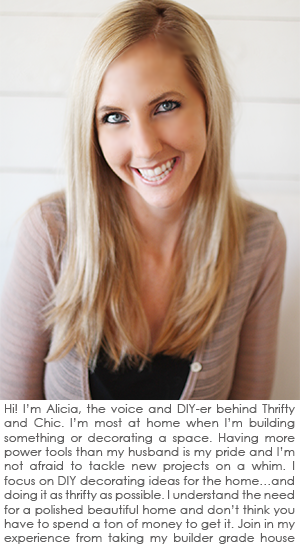 Oh my goodness, Alicia! 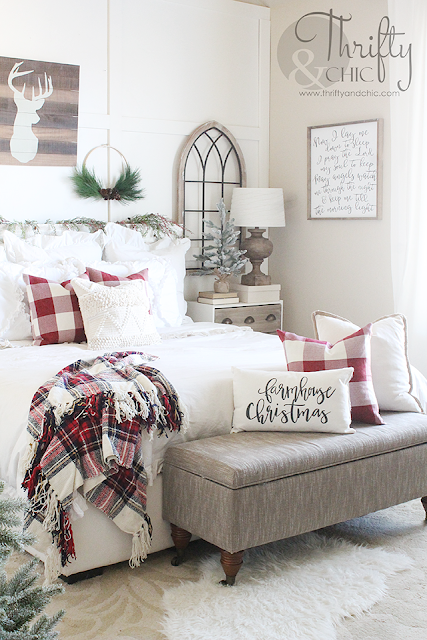 I'm blown away by your Christmas bedroom. It is just so beautiful. Those cathedral windows are everything, I want some!! 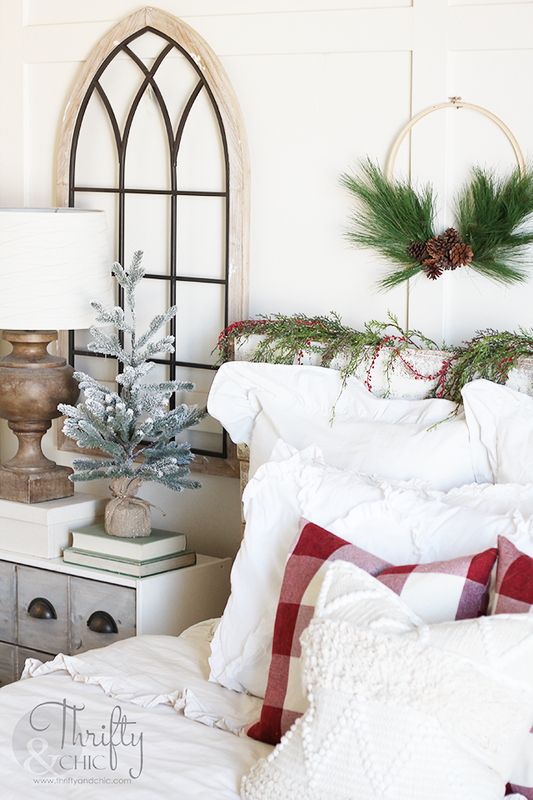 And your faux fireplace looks great in your bedroom - the perfect accent for Christmas! 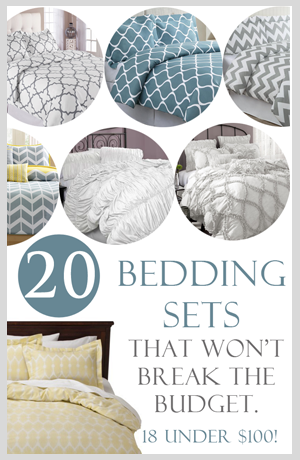 This makes me want to decorate my bedroom immediately! Love the cathedral windows and greenery. Everything is so perfect! 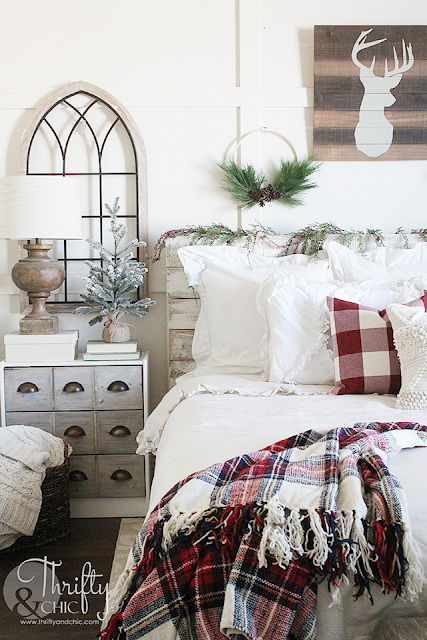 Your bedroom is so lovely, especially at Christmastime. 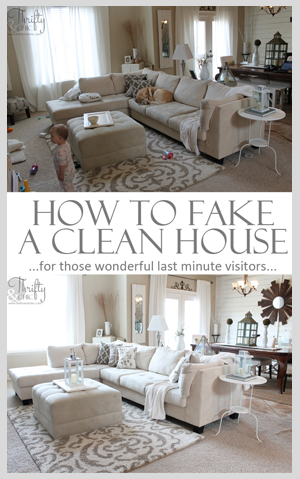 It's fun to see your DIY projects and your design style. Thanks for sharing.